A few weeks ago, I jumped into a plane destination Jerez to what was about to be one of the most memorable weekend trips in months (which is a lot to say, given the amount of travel I’ve been doing lately): I was headed to Chipiona at the Atlantic Andalusian coast. I came back so amazed that I decided to let the feeling cool down, but it hasn’t gone away. This wasn’t a summer love, it’s here to stay. 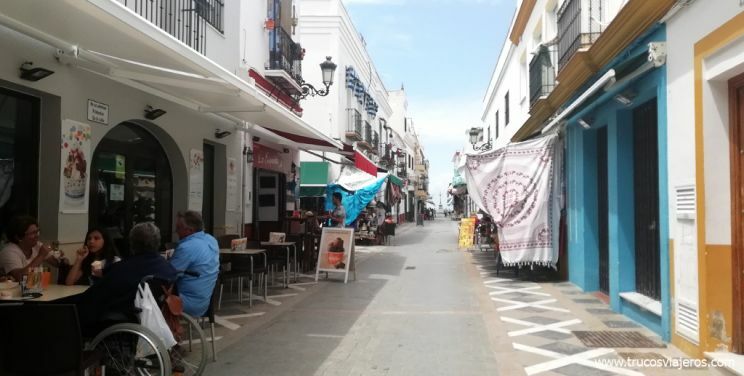 For many Spaniards, Chipiona is one of those charming Andalusian towns perfect for the summer, with plenty of “chiringuitos” and a slow living vibe. For many others, Chipiona is were Rocío Jurado, the singer, was born. But there is a lot more to see and do in Chipiona than that. 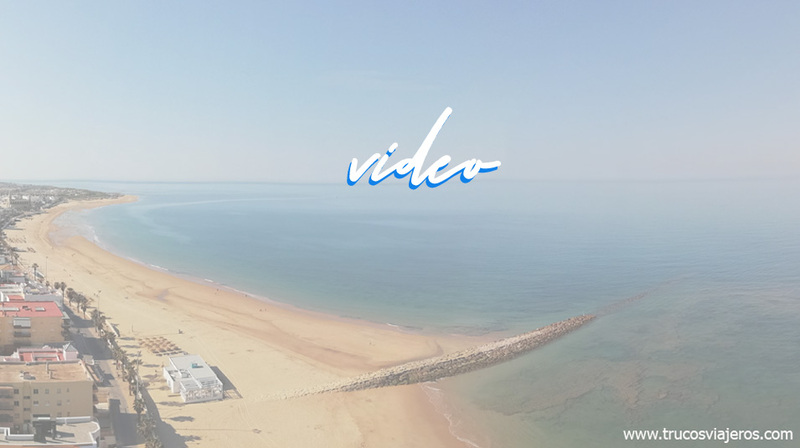 On top of a bicycle, we rode through the white streets and by the beautiful beaches, enjoyed the endless sunsets and the fun chiringuitos, proving that Chipiona is not only a destination for the Summer sun. So, now that the Virgin of Regla festivities are almost over and tourists will start to vanish heading to their office cubicles, it is the best timing to enjoy its landscapes. 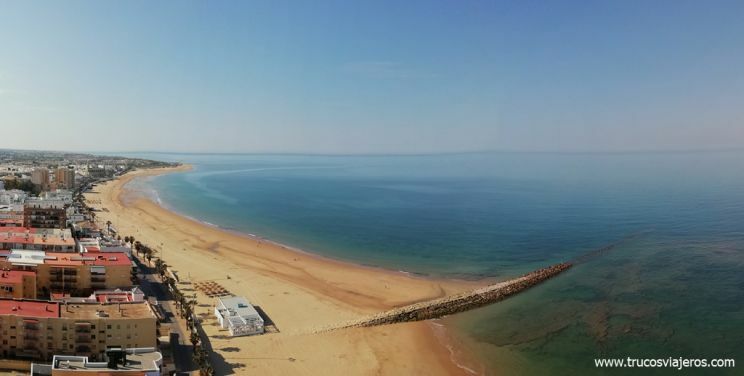 Here are some of the plans you shouldn’t miss, just beware, you could be falling in love with Chipiona too. Walking through Isaac Peral, with its bars and shops, Cruz de Mar and the promenade, the church Parroquia de Nuestra Señora de la O… I couldn’t help but feeling tempted to have an ice cream, test the scargot or take a picture of every single geranium flower-pot. It was the start of our weekend in Chipiona and our first walk through the city center didn’t want to let us down. Truth is that here everything is around the corner, so while everybody else was checking in, I went to the top of our hotel La Española, where they have a solarium that overlooks the church, the castle and the beaches of Chipiona. 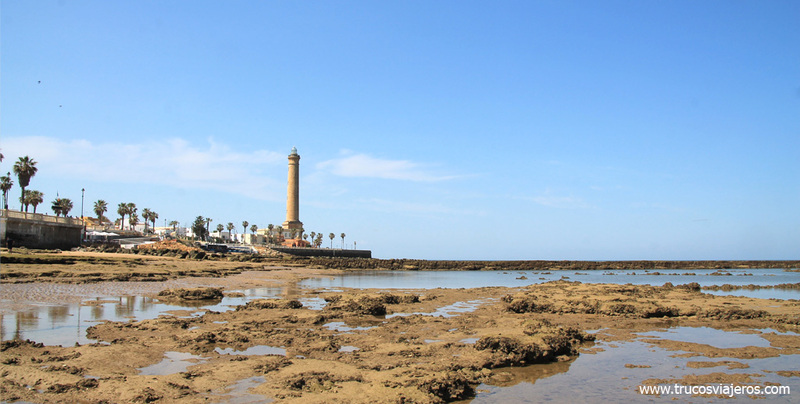 There is no Chipiona without the lighthouse or the Sanctuary of Regla. Literally. What today is one of the most important pilgrimage points in the South of Spain, was once a fortified castle owned by the Ponce de León family, who donated it to the Agustinian monks in 1399. So, what am I telling you this? 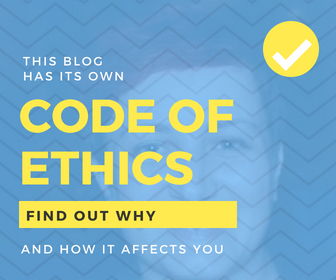 Because it is worth to take a deeper look at the building. It was at this same place where Chipiona, which once belonged to Rota, became a village. There is history inside this walls and under them: the doors belonged to the old castle, the vaults underneath the cloister were there in the XIII Century, you can still find the coat of arms of the Ponce de León family there. As I was telling you, the Augustinians’ monks lived here until 1835, when they had to leave the Sanctuary. 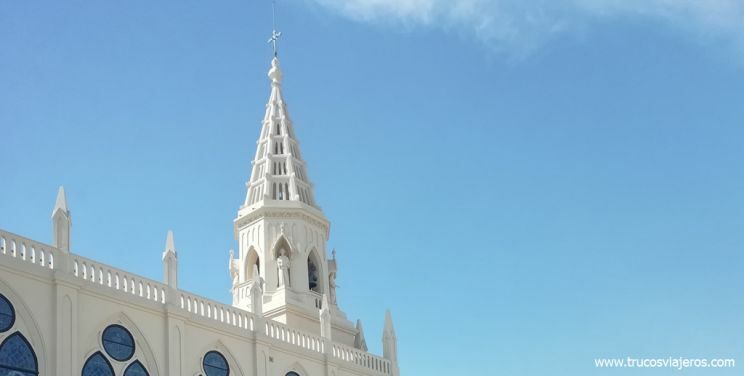 Later, in 1851 the Infants of Orleans visited Chipiona and felt shocked by the story and miracles of the Virgin Mary (Our Lady of Regla), so they started to restore the temple and return the image from the Parroquia church to the Sanctuary. 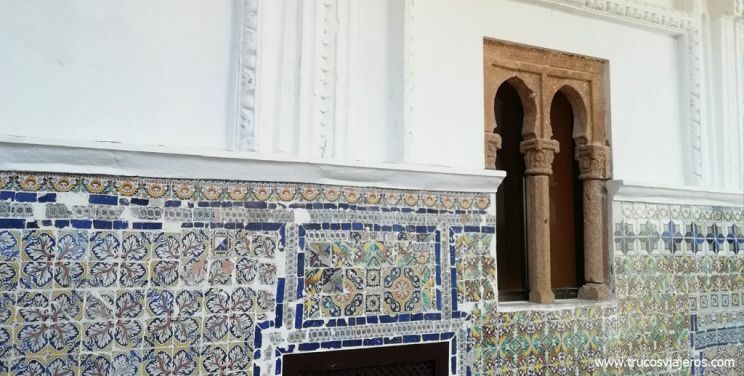 Once restored, the building was given to Padre Lerchundi (a Franciscan priest) who set here a missionary school that would send hundreds of Franciscans to Morocco and the Holy Land. The temple was restored (almost rebuilt) with a neo-Gothic style. It is today the home to the same Franciscan community, with 15 friars, who now guide visitors through the secrets of the Museum of the Sanctuary of Regla. One of them if friar Juanjo, in the picture above, who told us about many of the Sanctuary and Chipiona’s secrets. For example, that the Virgin is so wonderful that they had to build a silver armor so they wouldn’t tear the figure apart. Or that a grant from the Pope allows to have the Immaculate church every Saturday (at 7:30AM) and that they have a piece from the Holy Cross that they show at mass on Holy Friday. And that the smell of Chipiona is that of nards and incense of roses, which is how they decorate the Sanctuary. By the way, you can visit the museum every Friday evening during summer, but also book a visit by phone calling +34 956 370 189. The Sanctuary church can be visited for free when the church is open. And while you are in the area, don’t forget to visit the Humilladero (the small temple built over the well where the locals hid the Virgin statue during the muslim occupation.) Or the buildings that doctor Tolosa Latour built as a health therapy centre for kids (because of the the good weather and the high concentration of iodine fo the beaches of Chipiona) with Neo Mudejar style. My friend Teresa didn’t want us to go to just the “touristic” places, but also to the hidden gems that most miss when they travel here. 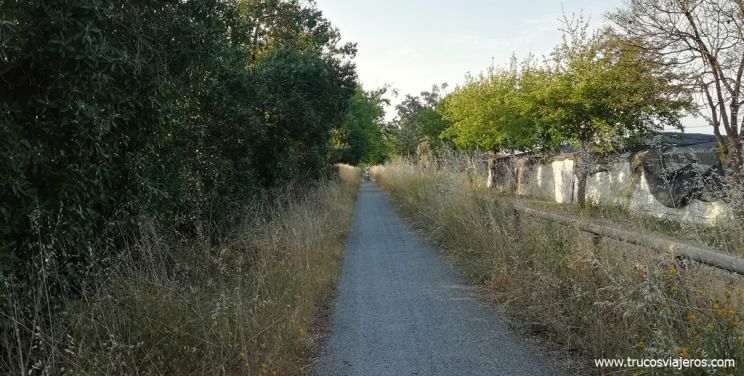 So we took our bikes and rode through the green routes around Chipiona. 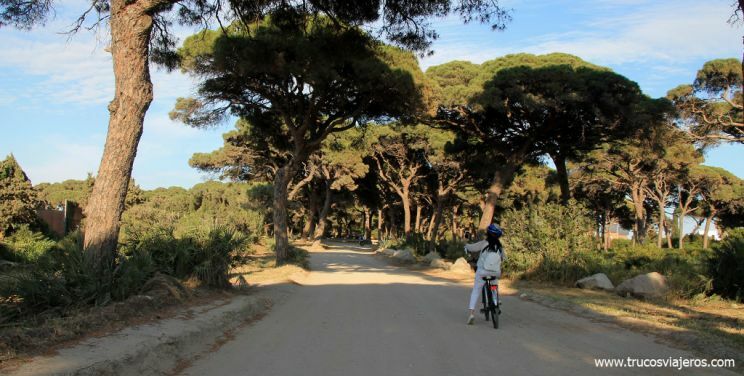 Here, with over 300 years of history, the stone pines grow in “pagos”, small groves that used to belong to the families of the area, who used to pick the pine nuts and wood for a living. Today this is not a profitable work and they have transformed the area into a great spot to walk and do some birdwatching. You can see here wood pigeons, long-eared owls, hoopoes, turtle doves… And the many birds that take advantage of the short distance to Doñana Natural Park and Costa Ballena lakes, such as kingfishers and mockingbirds among others. 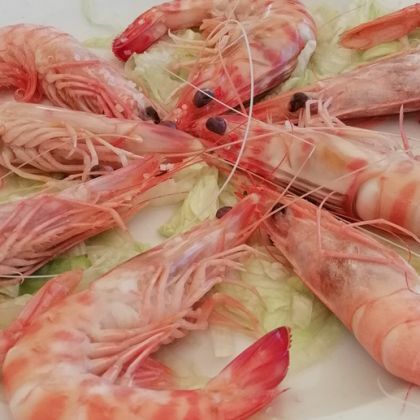 Eating in Chipiona is also a different deal. 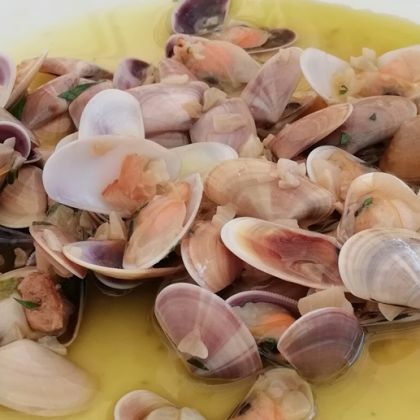 You know that in my commitment to sustainable travel, one of the key ideas is to eat local and Chipiona is an amazing place to eat. Casa Juan, down town Chipiona. Best? 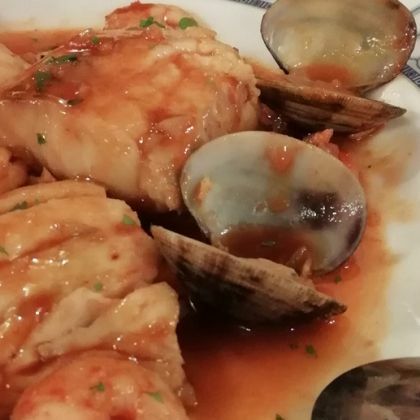 Traditional recipes such as hake in moscatel sauce and “huevos de choco” (cuttlefish gonads). Less traditional: sea bass in low temperature with layer cake of “cañaíllas” (spiny dye-murex) and sauce of “ortiguillas” (sea anemones). Monterrey Costa, next to the lighthouse at the Monterrey Costa Hotel. Besides being a hotel restaurant, it is really worth going there for tapas (they won the best tapa award with a tempura fritter of cod with squid ink and boletus cream. For me, the best thing were the fritters and “carrillada” (pork cheeks) with moscatel wine sauce. La Manuela, at the Tres Piedras beach. A unique “chiringuito” located at a beautiful spot and great vibes. 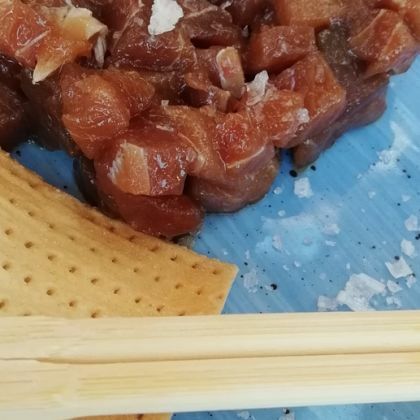 We had a mix of asian – Andalusian food that was amazing: nigiri of sardines and tartar of local tuna (from Cadiz almadrabas) among my favorites. My friends also recommended the place for more traditional things like tortillitas de camarones and such, but I had to flee to Jerez to catch my flight and couldn’t try these. Let me now if you do. We also added to the mix some gintonics at the SAAM beach club, with a view to a beautiful sunset. 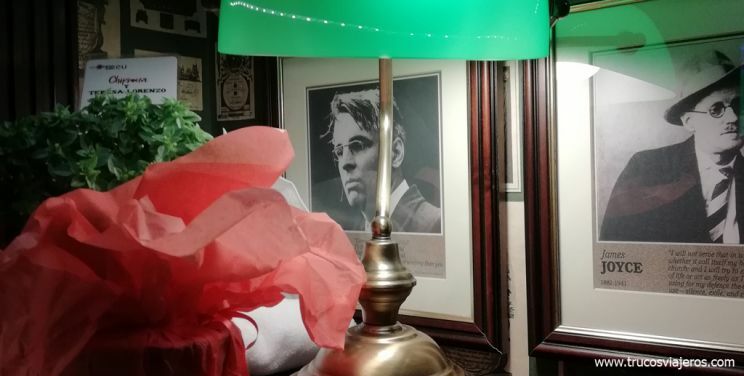 And some drinks later at Trinity Irish Bar closer to the lighthouse and also by the sea. The castle of Chipiona is a big question itself. The size is weird for a castle (the first version was even smaller) nobody really knows who had it built (some say Guzmán “El Bueno”, who received this land after the Reconquest, but some studies say it was built later on the XV Century) and it has been transformed so many times that it looks nothing like a real castle. 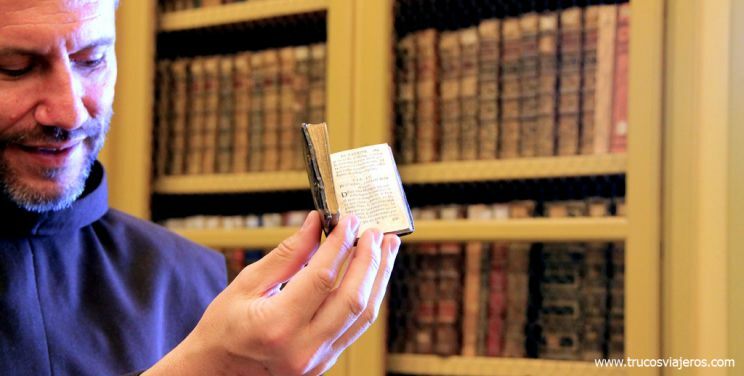 But don’t get fooled by this, it has an important place in History. 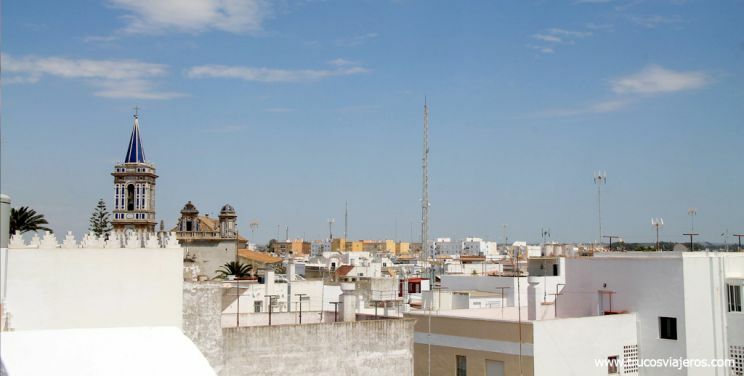 No matter when the castle of Chipiona was built, the area was so dangerous (due to pirate attacks) that until 1473 people would work the land but lived at the village of Sanlúcar. They even say Barbazul (la Barbe Bleue from Charles Perrault) and the vikings attacked the land. the Interpretation Center of “Cadiz and the New World” a small museum of travel and discoveries. A highly recommended visit for anyone with a traveling soul that reviews the history of the region, the conquest of the Americas (and beyond), commerce with the new land and important people from the Cadiz region, such as Mutis or Cabeza de Vaca. For this trip to Chipiona we stayed at the 3 stars hotel La Española. It is a small family run hotel with a superb location between the Castle and the promenade, right at the pedestrian street of Isaac Peral. 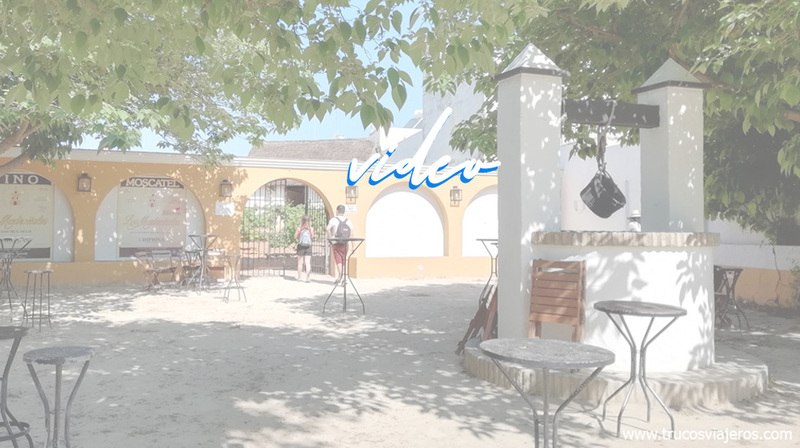 Great place to stay with an Andalusian look, inluding its own patio and a terrace where you can sunbathe all year with views above the old town, the castle and the beach. Fishing here is a restricted office, only the fishermen with a certain permit can fish here. 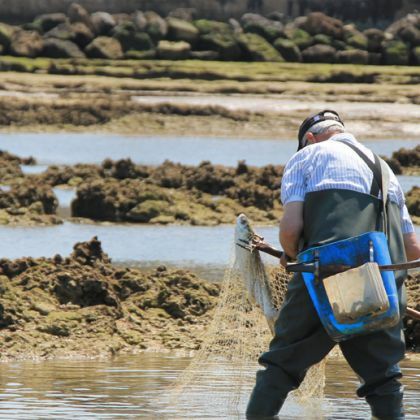 The man on the picture above is the “cataor” (taster), the first person to go fishing there when the tide is low and also the one that keeps the Corral in good shape. Only when he has fished, the other fishermen can go in. It is also a sustainable tradition: only the fish that are going to be eaten and is big enough is captured. This way, they know they will be able to keep fishing here in the future and the Corral will keep attracting bigger fish with small seafood and fish that they can feed from. We were lucky enough to see the cataor fish a cuttlefish, a crab and a “capitán” fish, after leaving many smaller fishes and seafood behind. By the way, you can do a free tour on them through the Tourist office. You will be visiting with a fisherman that will show you how they use the different traditional fishing tools and how the Corrales work. Just remember to wear the proper shoes, the place is slippery and it is easy to cut yourself with the oyster blades. You will need to book in advance, either at the tourist office at the castle or by phone 956 92 90 65. Back in the times, you could buy chameleon at Chipiona market. 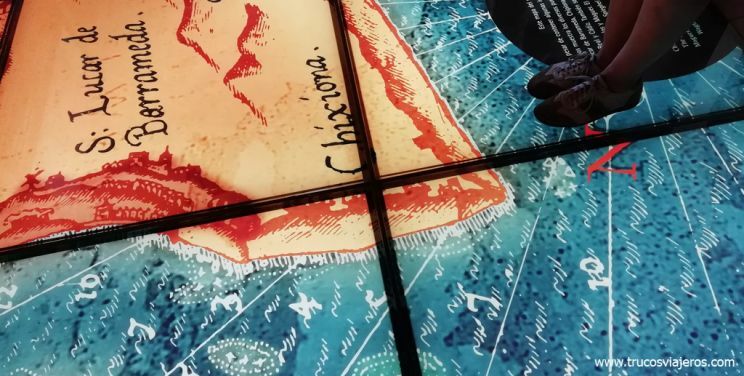 It was very easy to spot at Chipiona’s area and, although they don’t survive in captivity (Chamaeleo chamaeleon is a territorial species) tourists found it a funny souvenir to buy. 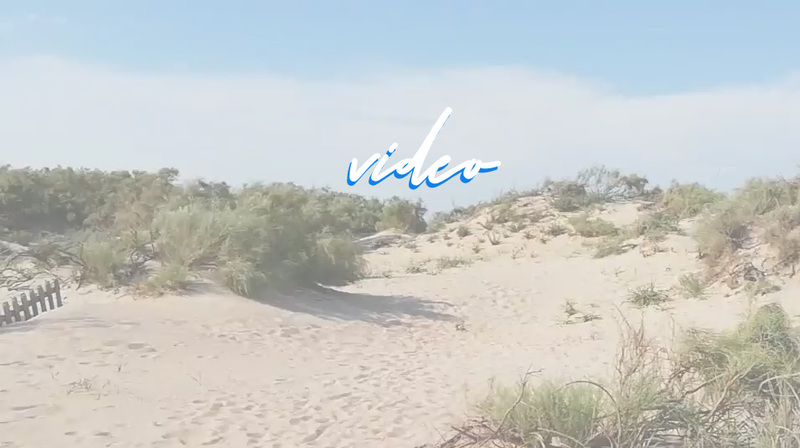 Today this is forbidden, not only because it is harder to find, but also because it is a protected species with its own protected area in one of the most beautiful dune system in Cadiz. You can see above the protected area that connects Camarón beach with the Interpretation Center of chameleon. No chameleon above, mainly because I filmed it in the evening and they prefer to go out in the mornings to sunbathe and are hard to spot (this is a natural park, not a zoo). But you can increase your chances contacting the Interpretation Center and the Ecologist group of Chipiona. And, you can visit the Interpretation Center, with information about how they live, why these creatures are so amazing and how they grow in the area. They also post pictures of the last chameleons found here at their web. For bird watchers, this isn’t a bad zone either to spot the birds that cross to the north of Africa. *Update October 2018: the Interpretation Center burnt down tonight. It’s soon to tell how big the damage is and how it has affected the couples of chameleon in the area. But you will also spot many people enjoying the sunset near the lighthouse and Cruz de Mar. 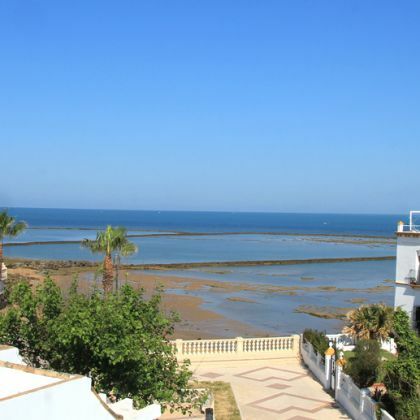 everything is at hand in Chipiona and you can walk from one beach to another by foot. Cars are another option, but why move by car when you can ride a bike? At this trip we chose to move around in a more sustainable way and it was one of the best ideas we could have. You can rent them like we did (including the basket, helmet and locks) at Bicicletas Valdés. 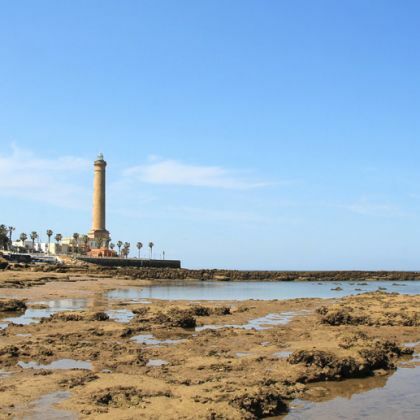 If there was only one “must-see in Chipiona” to add to a visit to the fishing walls of the Corrales, that thing should be the lighthouse of Chipiona. This operating lighthouse (for ships and planes) is one of the tallest in Europe and “the” tallest in all Spain, thus providing with some amazing views from Doñana natural park to Cadiz city (in the best clear days) and all over Chipiona itself. It is not a very common visit (most people think it cannot be visited because it belongs to the Port Authorities and it is in full operation) but you can book a visit to climb the 322 steps to the top through the Tourist Office. Regular visits are on Thursdays during low season and daily in Summer. By the way, at the promenade under the lighthouse you will find Taraxacun Gaditanum, a protected plant that only lives here in Chipiona. I have already told you we moved around Chipiona by bike (probably the best way to move around and see places that the car can’t go through). 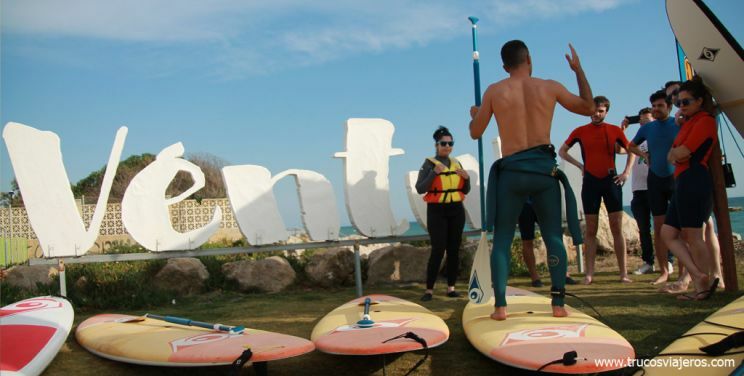 But you can also do other sports here, like SUP (stand up paddle or paddle surf), which will give you a different perspective of the coast. As you can imagine, it is also a great way to burn the extra calories of moscatel wine and the rest of amazing food you will have here. Taking a moscatel wine should also be a must, but I believe you will do that yourself (or at least trying the meat and fish in moscatel wine I recommended above), so now you should learn why moscatel has become the most important drink here and why it has that unique taste. This video above only shows a little of the museum. You can check the opening times and how to visit at their website. 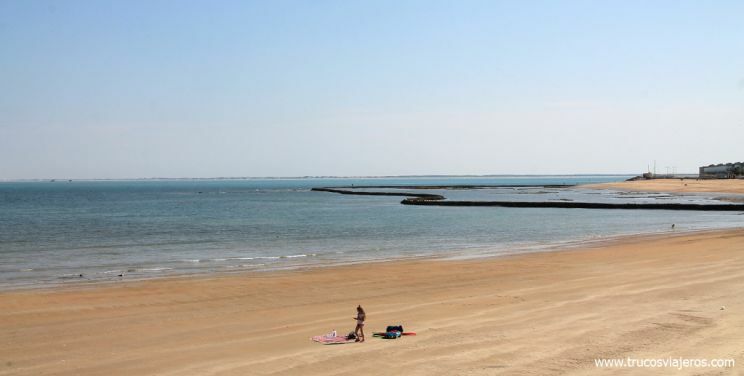 When visiting Cadiz, beaches are sure on the list, but in Chipiona that is not enough. 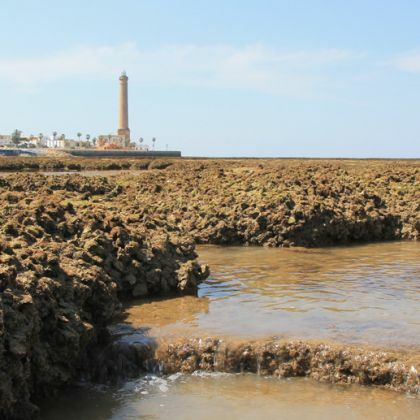 The waters of Chipiona are considered a Natural Spa due to their high concentration of iodo and minerals. The area also has a high amount of sun throughout the year, so it is like going to a Thalasso spa, for free. 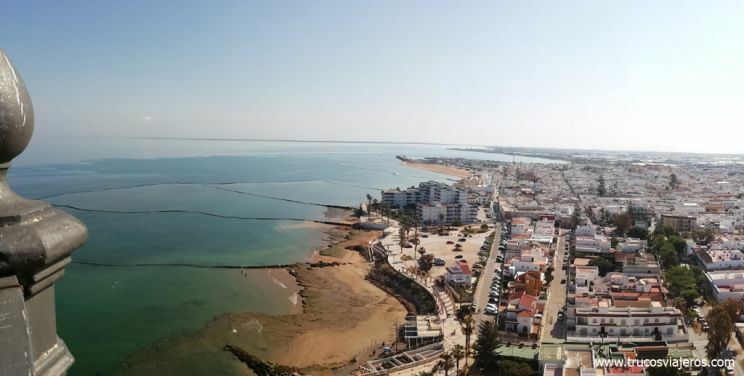 Chipiona has 14.600 meters of coast, where you will find the beaches of NIiño de Oro, Micaela, Cruz de Mar – Las Canteras, Regla, Camarón – La Laguna and Tres Piedras – La Ballena. 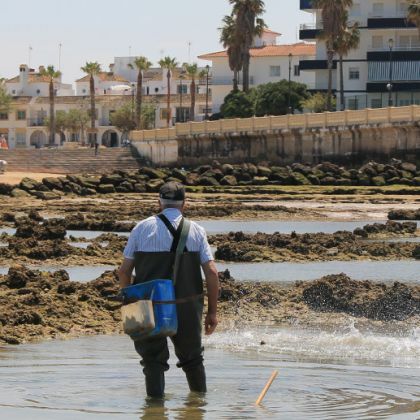 All of them accessible, and 5 of 6 have been awarded with a blue flag (with the exception of Montijo – NIño de oro). Rocío Jurado has been one of the biggest icons in Spanish music. While she passed away a few years ago, many still sing her greatest hits. Being a Chipiona local, there is even an official route about her that shows the sculpture at the promenade, the star near the sanctuary, her birth home, the cemetery…. and many fans do some kind of pilgrimmage here. 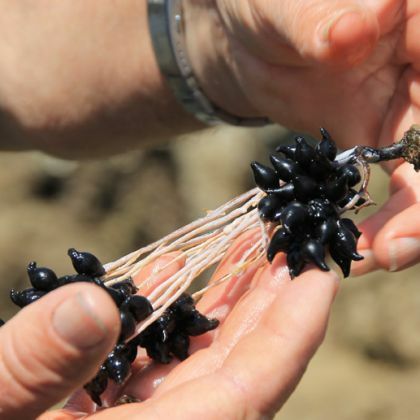 One of the things I wasn’t expecting from this land is that, besides the wine and the fishing, they also have an important plants and fruits industry. They even have their own wholesale market of plants and fruit: Mercado Rivera. Producers come here twice a week for the auction that will take fruits and greens to shops all around the region. 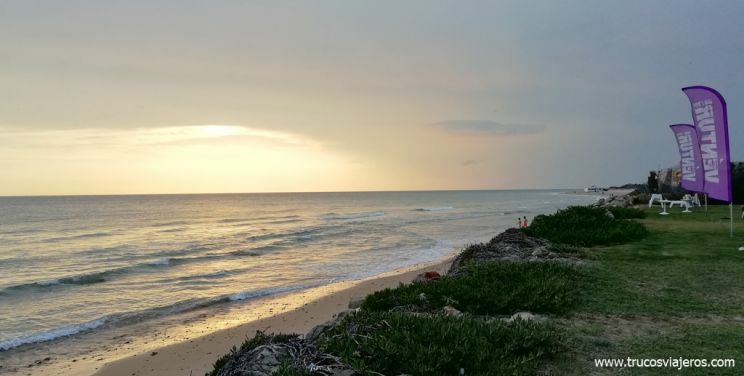 I’ve already told you about some great birdwatching spots in Chipiona: Pinar de la VIlla and the dunes of Camarón beach, next to the Chamaeleon Center, but they are not the only ones. Being this close to Doñana and the strait of Gibraltar, you will find here robins, greenfinches, kestrels… also the port has the only colony of Little Swift in the region. At the beaches? Curlews, plovers, turnstones, sandpipers, doves…. But you can also take a look at the Cadiz guide of birdwatching guía de avistamiento de aves de la provincia de Cádiz. Taxi for about 60-70€, it will take you 30 minutes and they take up to 4 passengers. * From the airport: If you want to take public transport, you can take a train from Jerez airport to Jerez (the train station is behind the airport parking). And then from the train station, cross to the bus station (on the left when you leave through the front door) where you can buy your tickets to Chipiona at the counter. We love Chipiona, we will be back there in June. That’s awesome! I’m going back in April 🙂 Any tips or new places I should check?